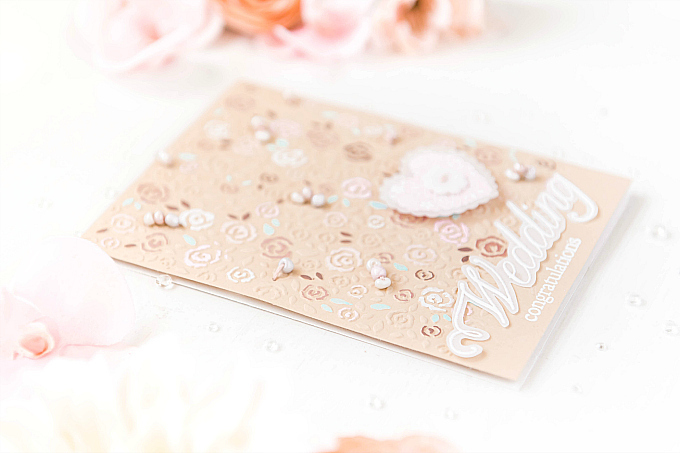 I love the beautiful texture dry embossing creates, but I don't always find it gives enough life to my cards. I love color, and find that the texture is sometimes not enough to give my cards what I'm looking for. 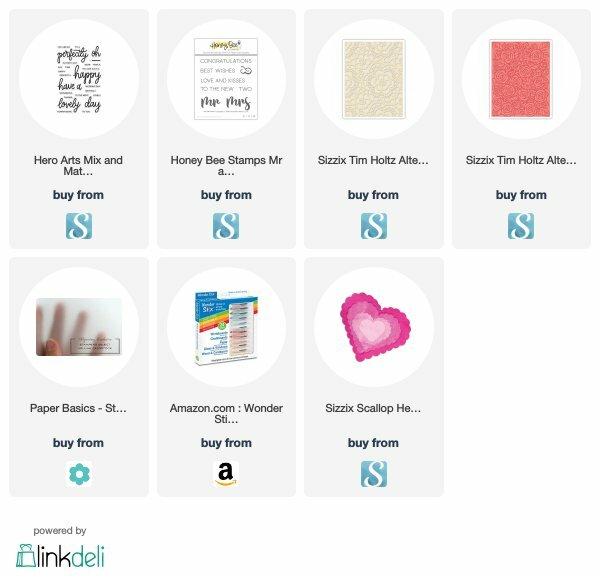 Raise your hand if you're like me, and you've shied away from dry-embossing for this reason. Prior to these crayons, I hadn't found an easy way to add color or interest to the raised designs. Ink was a little too messy. Copics would bleed. Coloring pencils were too rough and would de-boss the beautiful texture....And then Wonder Stix came along! 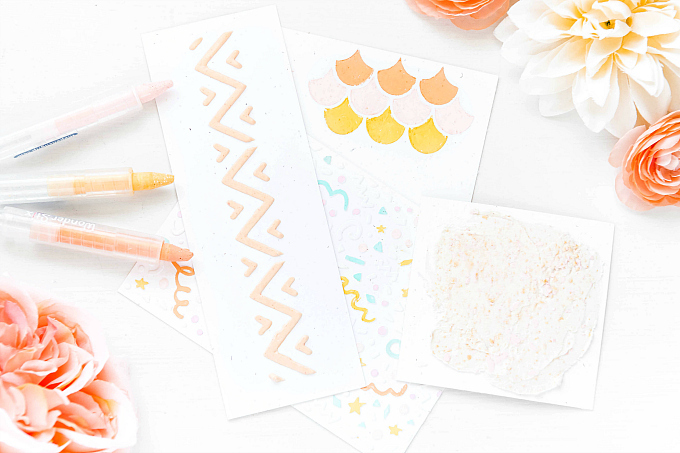 With just the right amount of creaminess, making it super quick and easy to add color to the raised bits, and superior coverage so that even light hues cover darker cardstock seamlessly. Such a dream to work with! 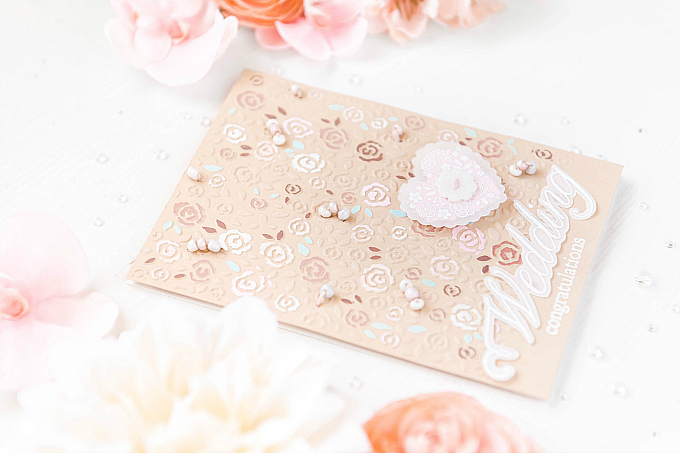 To start my card today, I ran a rose embossing folder along with some tan cardstock through my Big Shot. I then used my Wonder Stix to loosely color in some of the roses and leaves. I wasn't too careful in applying the color at all, and I was still was able to get a really pretty look. There's something so satisfying about running color along these little roses...and watching them come to life! To accent the roses a bit, I also stitched in some seed beads, and added a gorgeous vellum heart, accented with some felt. 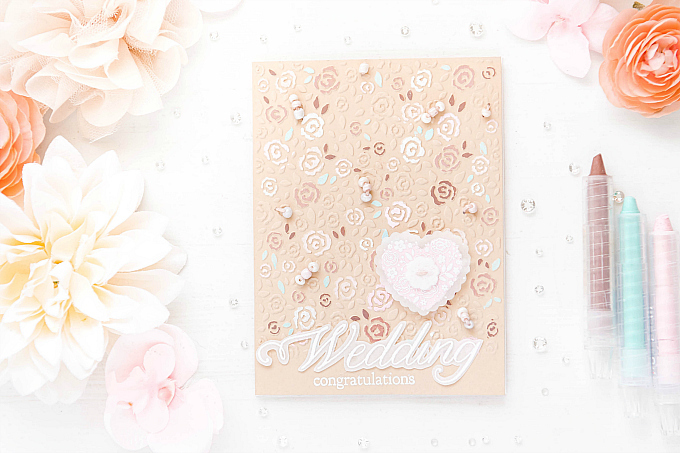 For the sentiment, I used a heat-embossed design on vellum, as well as a heat-embossed font right on the cardstock. I love splitting up my sentiment like this to add a bit of visual interest. 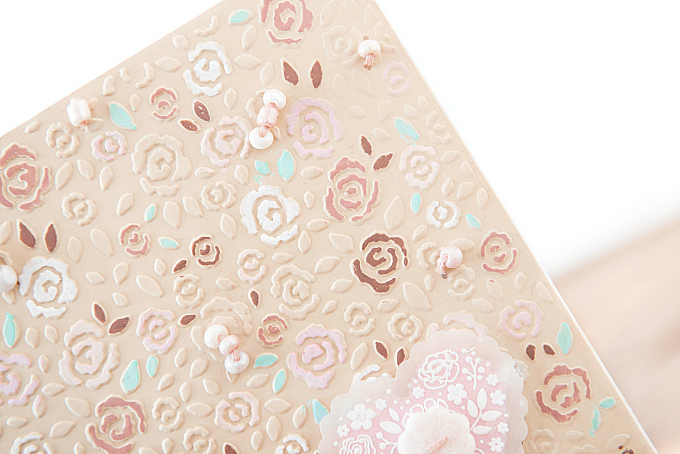 And here is a peek at all the texture from the side. Although delicate, it still makes a bit statement! What do you think? 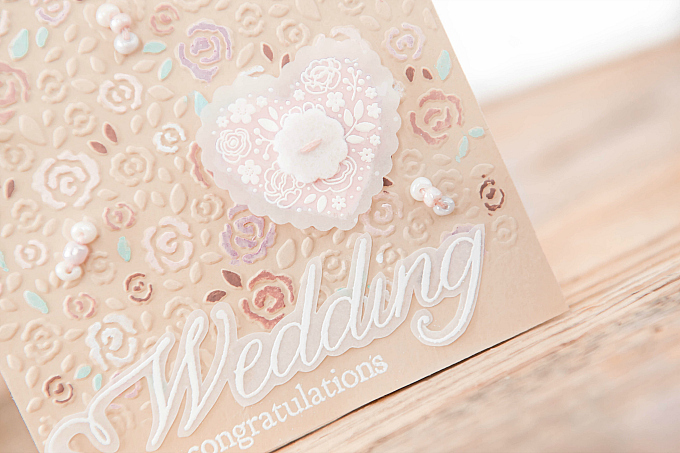 Does this change your mind about dry embossing! It sure has for me. Oooh! I love the look, thanks for sharing the idea! 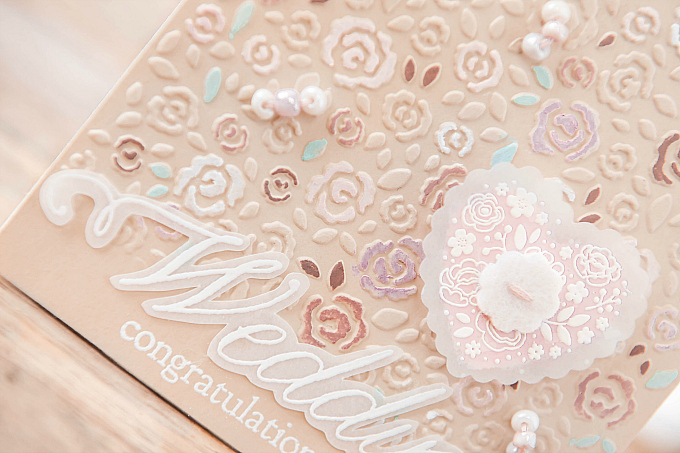 I've never added color to my dry embossing, it looks pretty Ivana! 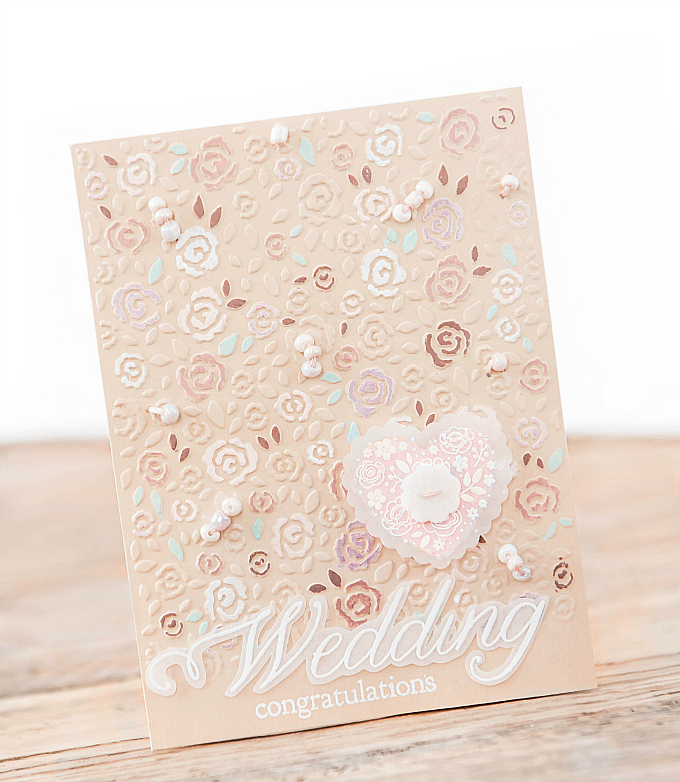 I like the beads you stitched on, what a lovely accent for this feminine card!